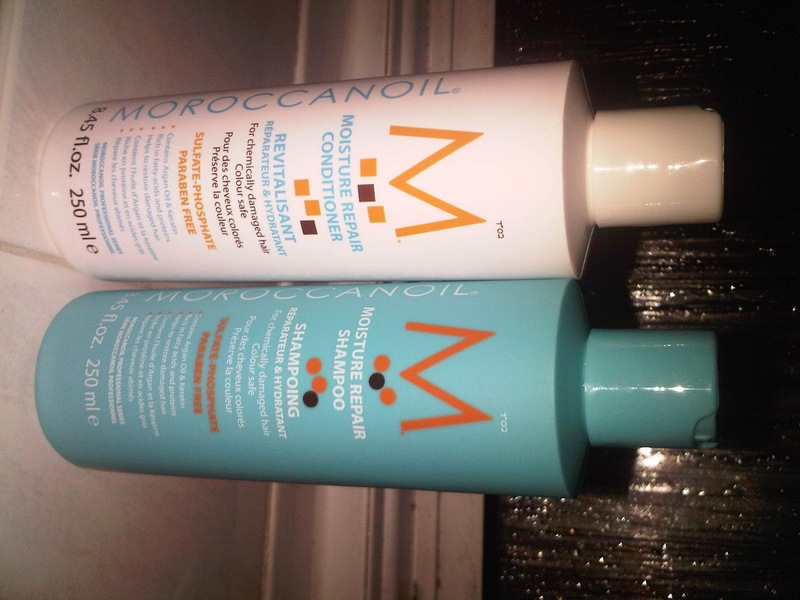 I raved and raved about the Moroccan Oil original formula when I used it a while back. I’d never found something that sorted out all of my hair concerns in one simple swoop. 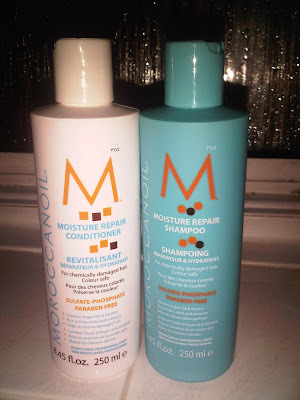 At the same time I was also sent the matching hair treatment mask, shampoo and conditioner to try, but I was saving them for winter when my barnet needed some serious moisture love and attention. I’ve been using the mask every week for the past month and the shampoo/conditioner every day for the past week to give it some serious browsing time before working wonders on my hair. The only thing was that didn’t seem to happen. 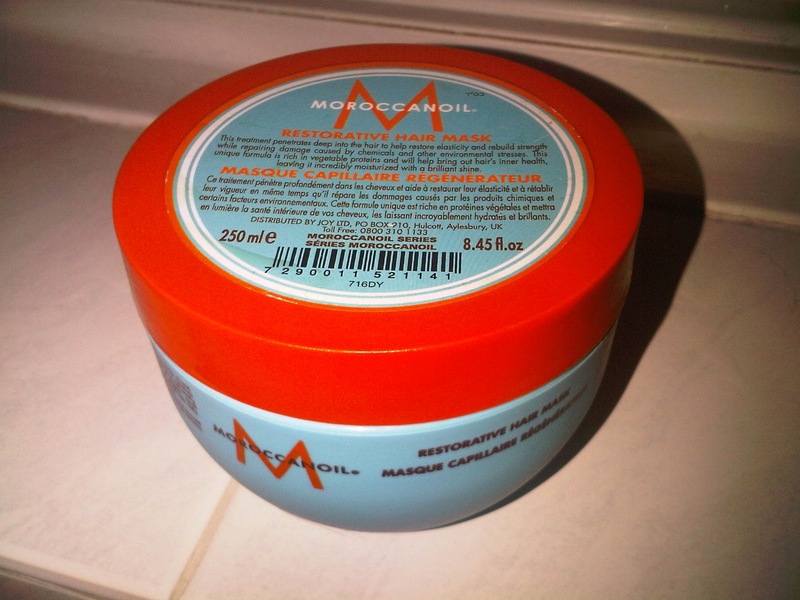 The treatment is a really lovely texture, just the right thickness so you can slap it on your head and not worry about it for a good ten minutes. It smells fab too, although nothing like you’d expect it to smell… It really reminds me of men’s shower gel or something; it’s not at all floral, musky or any other ‘girlie’ scent you’d expect it to have a hint of. The scent really hangs around for a long time too… Even when you wash it out of your hair and go to bed, you still get a whiff on your pillow the next morning. Right after you use the treatment you don’t get an instant feeling of luscious locks and it’s not particularly swish-inducing. However, I do think that it’s one of those treatments which works from the inside out, as my hair does seem to be in pretty good nick after a few weeks. It didn’t smooth my hair though, which is what I expected, knowing how fabulous the original oil was. The shampoo and conditioner are a whole other story. I was really excited to use these and saved them knowing I’d have to treasure every application. When I finally got to it I was really disappointed; they just didn’t meet my expectations. The formulas are pretty bog standard in colour, texture and application… There’s really nothing exceptional on first glance. 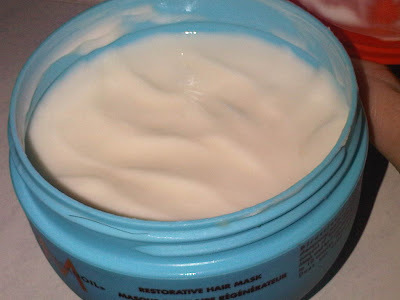 The shampoo lathers well but I didn’t get that squeaky clean feeling, but the conditioner didn’t seem to agree with my hair at all… It left my hair tangled, feeling coarse and ripped of moisture. I thought initially that maybe I didn’t use enough so I wacked on as much as my locks could hold, but it made no difference. My styling time was at least doubled as after blowdrying I looked an absolute mess! I was all psyched up to write a raving review of these, but I’m afraid that just hasn’t happened. While I adore the oil, I don’t think there’s a strong enough concentration in the other products to have a similar effect. I’d suggest you stick with the original oil if you’re on the look out for a wonder product. In the long term that’s definitely the better investment. What Fluff and Fripperies said. I was literally thinking the other day I needed to go and get my hands on the shampoo and conditioner but now I'll stay well away. I'm in love with what the oil does to my hair, it is amazing, (though I wish the effect lasted after I brushed it, instead of it going all frizztastic on me. Anyway, thanks so much, inspired as always. Glad to hear it ladies! The oils a good investment but I think you can spend your pennies elsewhere rather on the rest of the range.